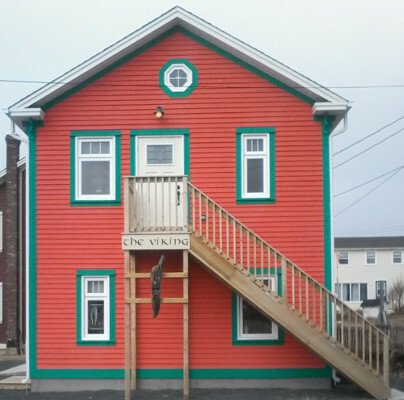 The Viking is located at 23A Water St. in Historic Crow Head on Twillingate Island. Canada Select 4 star rating, Airbnb 5 star rating and super host status. 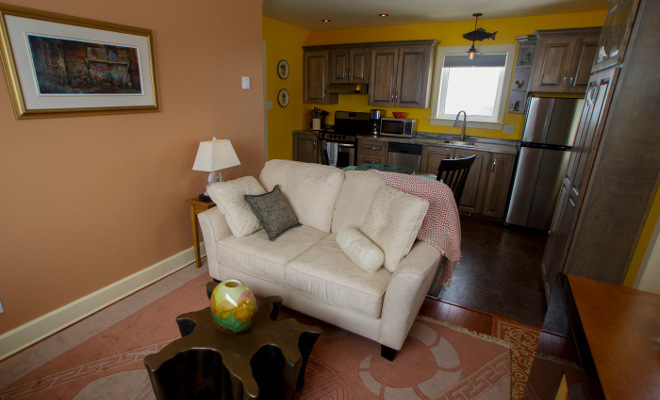 Featuring a private 1 bedroom with full kitchen, living room and a 3 piece bath and most importantly a stunning ocean view of Notre Dame Bay and its rugged coastline. If you love painting, hiking, leisurely strolls along the beach or just sitting and gazing out at the mighty North Atlantic then you won’t go away disappointed. A view of Salmon Rock never lets you leave without showing you its majestic side. From crystals dancing on the shining ocean with the possibility of spotting an iceberg or a whale to a sunset that will leave you breathless and then seduce you with crashing waves of the North Atlantic and then you can cap it off with a beverage and maybe if it’s the right time of the month a full moon shimmering its light across Long Beach. The possibilities are endless. Beaches, hiking trails, berry picking, nearby Long Point Lighthouse, and the famous Crow’s Nest Café. Minutes from Boat Tours (icebergs and whales), restaurants, museums, art gallery, The Auk Winery, traditional and local music, and the renowned Dinner Theatre. © 2016 The Viking Vacation Home Inc.